© 2002, © 2017 by Paul Freeman. Revised 5/19/17. 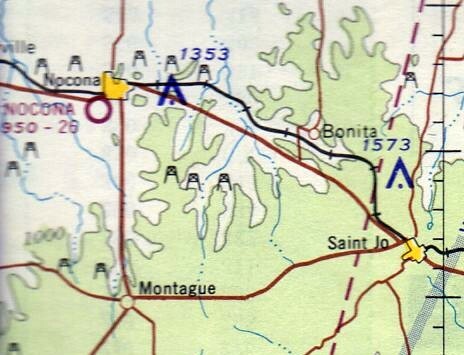 Nocona Airport, as depicted on the January 1957 Dallas Sectional Chart (courtesy of Ron Plante). as it was not yet depicted on the February 1955 Dallas Sectional Chart. which depicted Nocona as having a 2,700' unpaved runway. which depicted Nocona as having a 2,600' unpaved runway. labeled simply as “Landing Strip”. There were no buildings depicted on the airport. 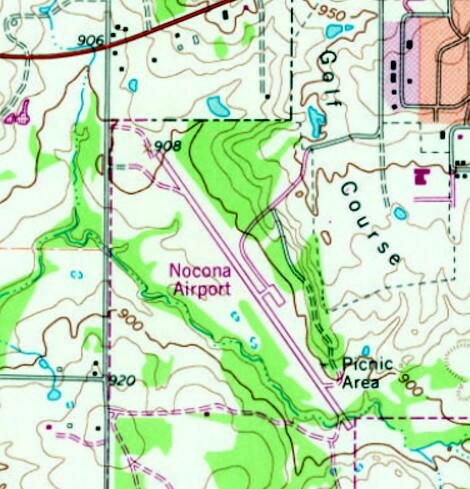 The 1982 USGS topo map depicted “Nocona Airport” as having gained a paved runway & ramp at some point between 1968-82. 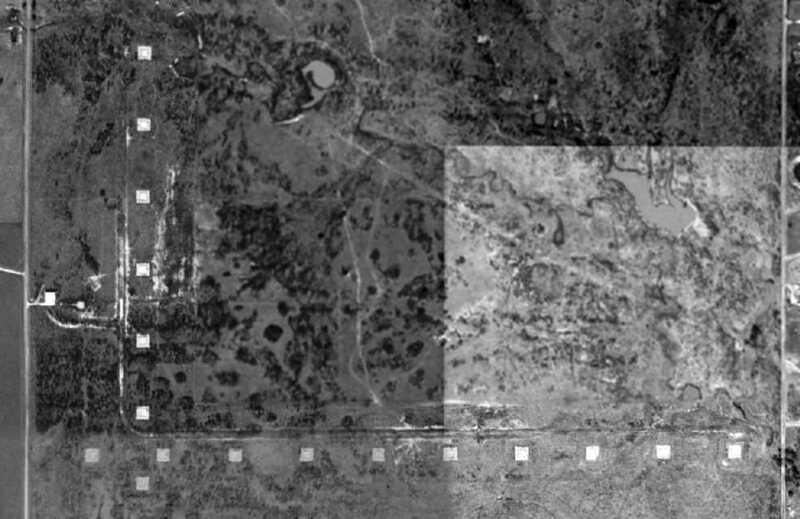 The earliest photo which has been located of Nocona Airport was a 1995 USGS aerial view looking east. 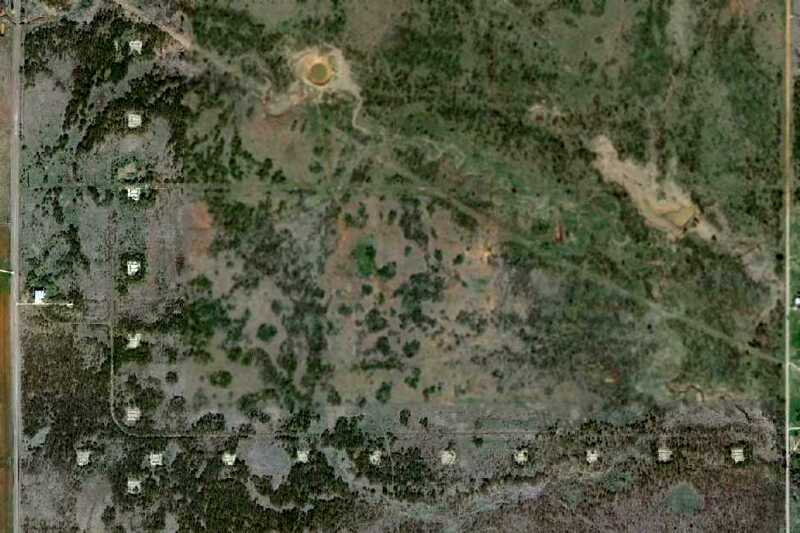 It depicted Nocona as having a paved Runway 14/32, with a paved ramp, and a segmented circle. There were no buildings or aircraft visible at the airport. as a 2014 aerial view showed the runway markings were gone, the pavement was badly deteriorated, and a stream had cut through the southern end of the runway pavement. 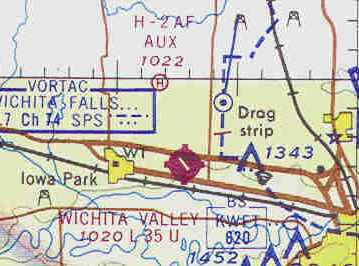 Nocona Airport was depicted as an abandoned airfield on the 2016 Dallas Sectional Chart. 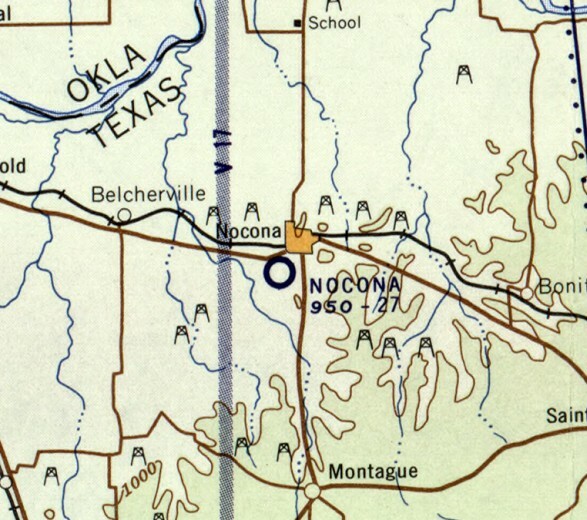 Nocona Airport is located southeast of the intersection of Route 82 & Airport Road, appropriately enough. Thanks to Bryan Fair for pointing out this airfield. 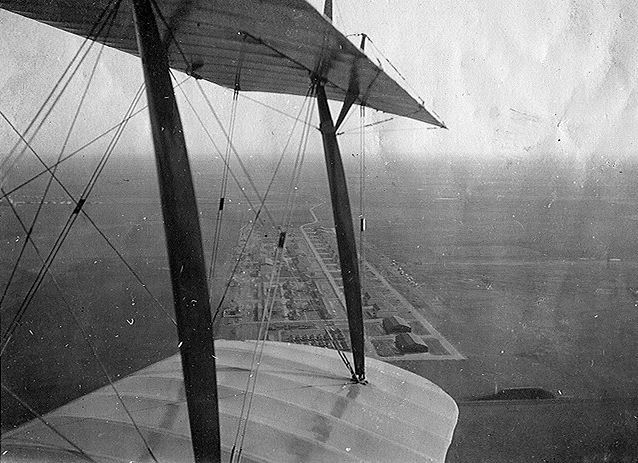 A 1918 aerial view showing the long row of hangars at Call Field. In April 1917 after the United States' entry into World War I, the Army announced its intention of establishing a series of camps to train prospective pilots. Frank Kell of Wichita Falls organized an effort to attract the Army to the city. In June 1917, the Department of War sent a cadre of officers to the Wichita Falls area to survey sites for an aviation school. The group decided on a location about 5 miles southwest of Wichita Falls. and had a commitment from the Missouri, Kansas & Texas Railroad to extend tracks to the proposed site of the camp. On August 27 construction began of the training field began. It was one of 32 Air Service training camps established after the United States entry into World War I. Call Field was named for 1st Lieutenant Loren Call who was killed in an airplane accident on 7/8/13. Call Field had 46 buildings, which included 12 hangars that housed 4-8 planes each, a hospital, and 6 barracks that held 175 men each. In May 1918 four additional hangars & a row of lofts to hold carrier pigeons were built. It covered over 700 acres & could accommodate up to 1,000 personnel. Dozens of wooden buildings served as headquarters, maintenance, and officers’ quarters. Enlisted men had to bivouac in tents. In November, when 85% of the work was completed, Maj. J. B. Brooks arrived to inspect the facilities. On November 10 he was named commander. On November 29 the 163rd Aero Squadron, equipped with 6 Curtiss JN-4 Jenny trainers arrived from Kelly Field, and the field had 600 pilots by late December. Most of the JN-4 Jennys to be used for flight training, however, were shipped in wooden crates by railcar. On 1/15/18 the army gave final approval of Call Field. Call Field served as a base for flight training for the United States Army Air Service. In 1918, flight training occurred in 2 phases: primary & advanced. Primary training took 8 weeks & consisted of pilots learning basic flight skills under dual & solo instruction with a student capacity of 300. After completion of their primary training, flight cadets were then transferred to another base for advanced training. 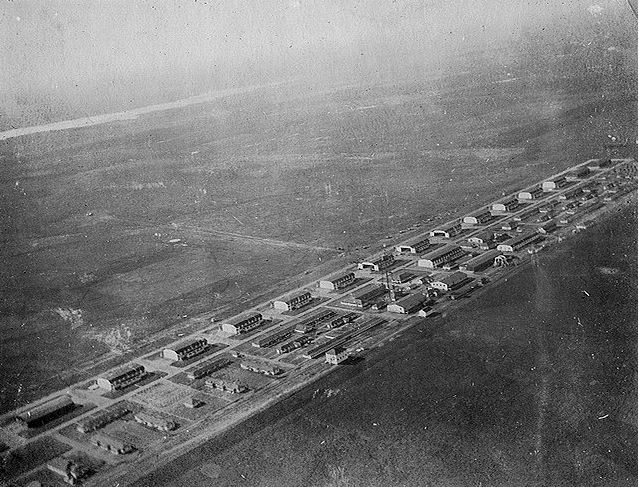 A 1918 aerial view showing the long row of hangars at Call Field taken from one of its Standard J-1 biplanes. 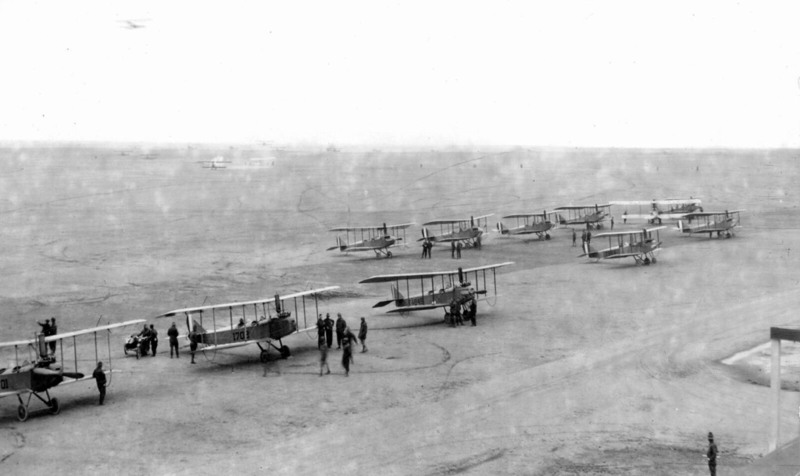 A circa 1918 U.S Army photo of a group of Standard J-1 biplanes at Call Field. Post Headquarters, Call Field, November 1917-October 1919. 164th Aero Squadron, November 1917, re-designated as Squadron "A", July-November 1918. 192nd Aero Squadron, December 1917, re-designated as Squadron "B", July-November 1918. 198th Aero Squadron, December 1917, re-designated as Squadron "C", July-November 1918. Squadron "D", transferred from Barron Field, TX, September-November 1918. Squadron "E", transferred from Carruthers Field, TX, September-November 1918. Flying School Detachment (Consolidation of Squadrons A-E), November 1918-November 1919. 73rd Aero Squadron (II), March-July 1918; Deployed to American Expeditionary Forces, France. 74th Aero Squadron, March-August 1918; Transferred to Hazelhurst Field, NY. 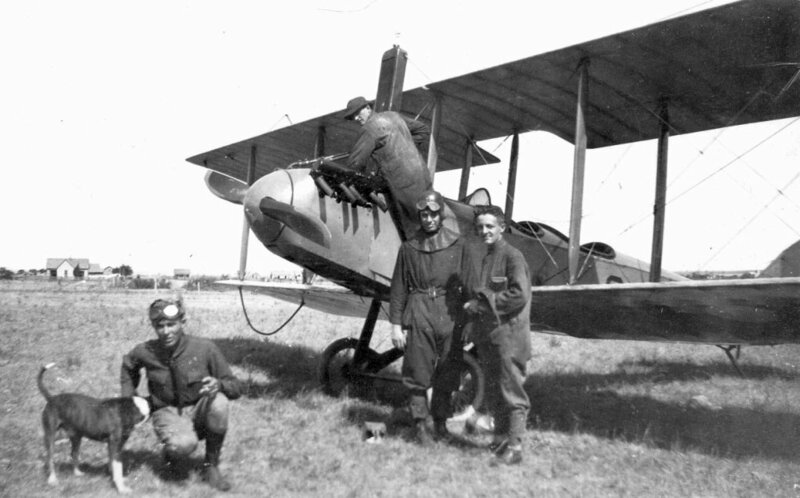 A circa 1918 U.S Army photo of crew & a dog in front of a Standard J-1 biplane at Call Field. During its operation 3,000 officers, cadets, and enlisted men were stationed at Call Field, and 500 officers received their wings there. Two squadrons left the training facility for overseas duty. Thirty-four men lost their lives during training exercises, the smallest number of fatalities of any U.S. military aviation training center up to that point. With the sudden end of World War I in November 1918, the future operational status of Call Field was unknown. because of the outstanding combat record established by Call-trained pilots in Europe. Locals also pointed to the optimal weather conditions in the North TX area for flight training. Cadets in flight training on 11/11/18 were allowed to complete their training, however no new cadets were assigned to the base. as many of the personnel assigned were being demobilized. Finally, flight training activities ceased on 11/8/19. In December 1919 Call Field was deactivated as an active duty airfield, however, and a small caretaker unit was assigned to the facility. The War Department had ordered the small caretaker force to dismantle all remaining structures & to sell them as surplus. In 1920 Ernest Hall, a former instructor at Call Field, operated a flying school at the facility. 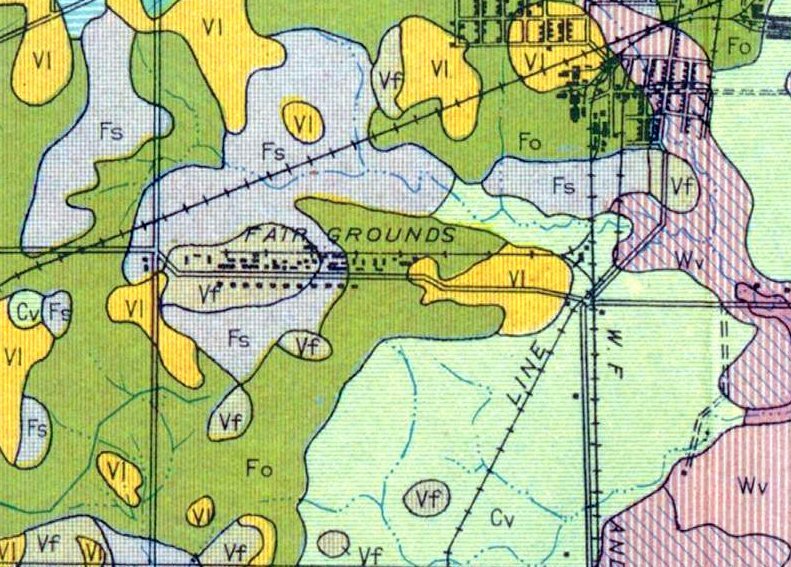 A 1920 Agriculture Department Soil Map (courtesy of Randy Gilbert) depicted the row of hangars of Call Field, but labeled it as “Fair Grounds)”. The Wichita Polo Club briefly used a portion of the Call Field land for its polo field. The 1932 Dallas Sectional Chart did not depict Call Field. erected a small marker near the gates of the old field in memory of the 34 men who were killed during training. For a number of years the site was the scene of memorial services by the Call Field Veterans Association. 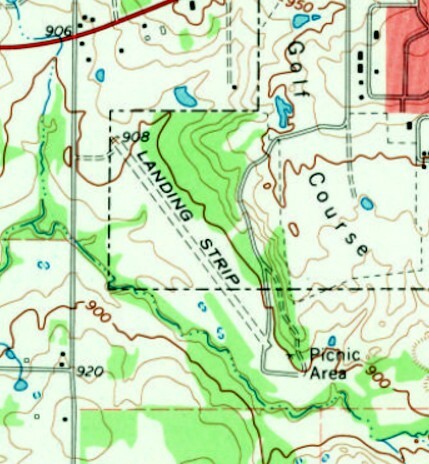 The 1958 USGS topo map depicted a number of small buildings along Call Field Road, with a large open field to the north. 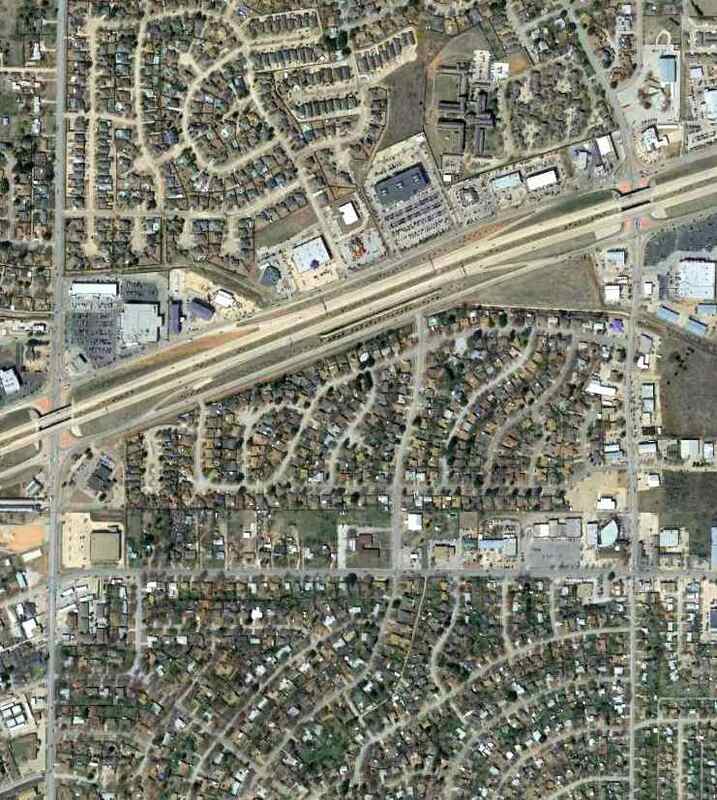 A 3/4/13 aerial view showed no trace remaining of Call Field. The site of Call Field is located west of the intersection of McNiel Avenue 180 & Call Field Road, appropriately enough. “H-2 AF Aux”, as depicted on the July 1968 Dallas Sectional Chart (courtesy of Chris Kennedy). to a First World War auxiliary field to Call Field (in Wichita Falls), called Iowa Park. 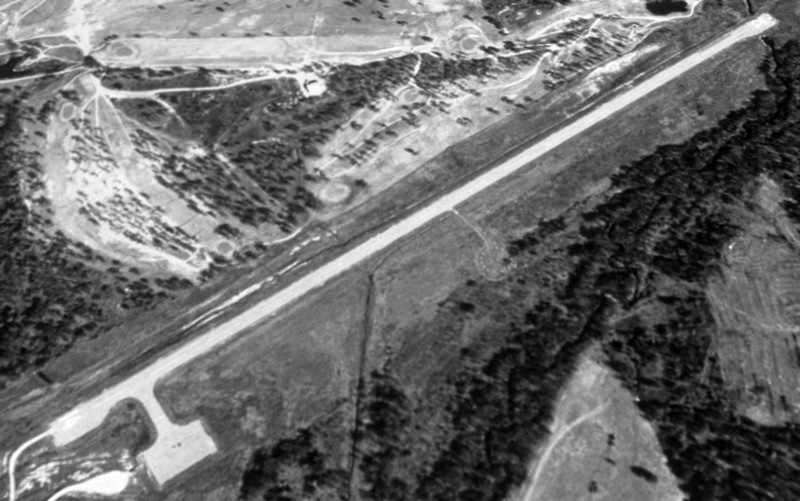 Nothing airfield-related was recognizable at this location on a 1953 aerial photo. and was apparently used to support Air Force helicopter training at that base. Sheppard Helicopter Annex #2 was not yet depicted on the February 1968 Dallas Sectional Chart. was on the on the July 1968 Dallas Sectional Chart (courtesy of Chris Kennedy). It depicted “H-2 AF Aux” as a heliport. 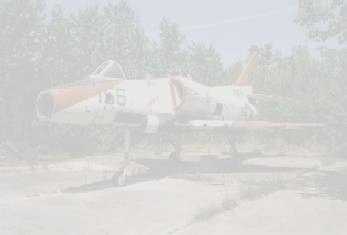 reported that "Annex #2 I think was used by the UH-1Fs & CH-3Cs." 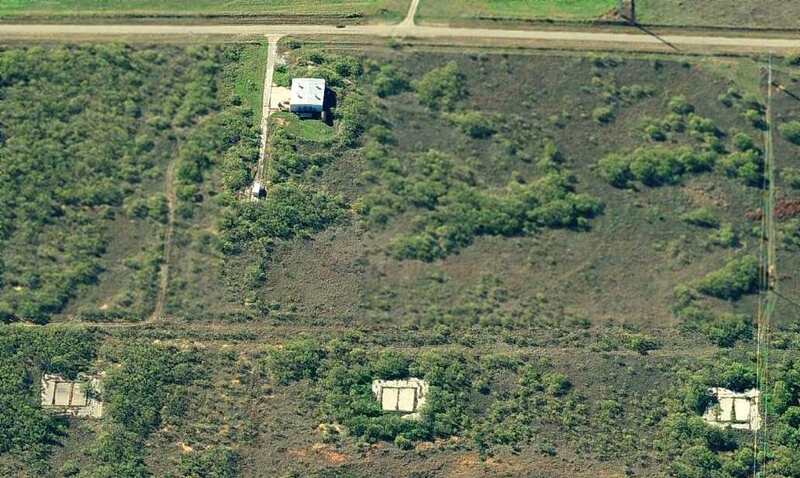 Larry DeVore also recalled that Sheppard Helicopter Annex #1 was located in Grandfield, OK, and was used by HH-43Bs. as the HH-43B's could do rolling takeoffs & landings. We had to either fly up or ride in the fuel truck as we had to refuel the helicopters after the training was over." Sheppard AF Helicopter Training Annex #2 was disposed of in 1972. The property was labeled "Sheppard Air Force Base Small Arm Range Annex" on the 1972 USGS topo map. "H-2 AF Aux" was still depicted as an active heliport on the 1978 DFW Sectional Chart (courtesy of Ray Brindle). The Sheppard Annex #2 was not depicted at all on the 1979 or 1983 USGS topo maps. to consist of 2 rows of a total of 17 helicopter landing pads, each a 90' square of concrete. 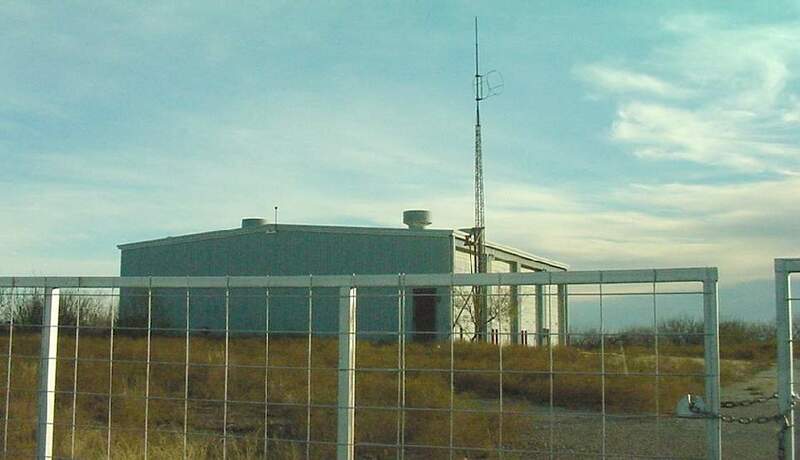 A 2001 photo by Scott Murdock of a support building with a windsock mount on a pole, on the west side of the Sheppard AFB Annex #2 property. 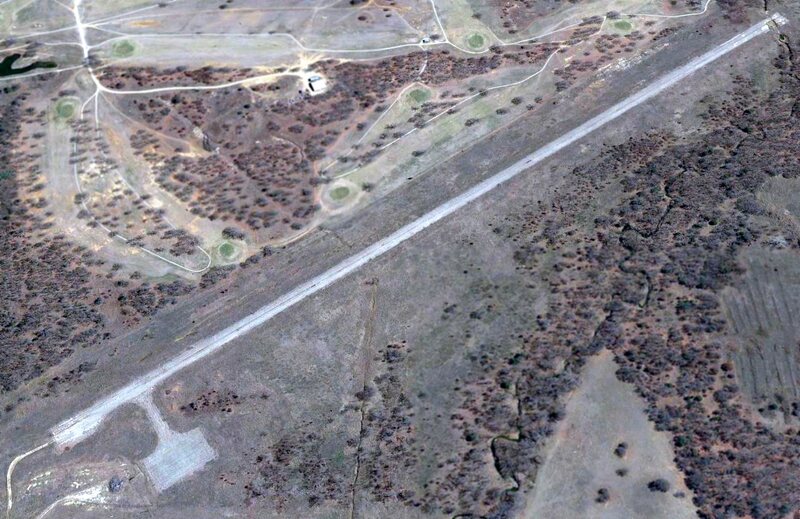 A 12/26/11 aerial photo showed the helicopter facilities at Sheppard AFB Annex #2 to remain unchanged. A circa 2011 aerial view looking west at the 3 of the helicopter landing pads & the support building on the west side of Sheppard AFB Annex #2. Sheppard AFB Annex #2 is located on the east side of Peterson Road, 3 miles northeast of Iowa Park, TX.